A quick listing of some of the discs I’ve got my hands on in the last month or so; I’ll be doing posts on a few of these films in the near future (or writing about them as part of a larger column). - My love affair with Criterion Collection DVDs (illegally procured from Palika Bazaar, of course) continues. 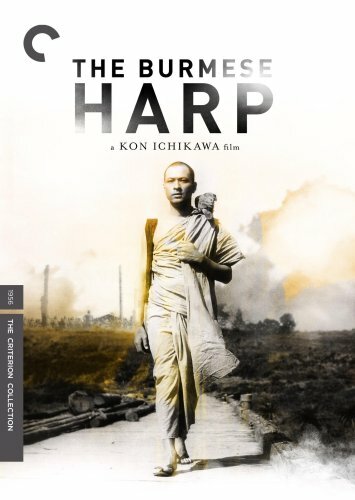 They have a surprisingly large number of Japanese films from the 1950s and 1960s, and the additions to my collection include Nobuo Nakagawa’s gory Jigoku (good in places though I was ultimately a bit disappointed), Ozu’s Good Morning, Kon Ichikawa’s The Burmese Harp (a wonderful companion piece to Ichikawa’s fine anti-war film Fires on the Plain, which I also have), and best of all a sharp, carefully restored print of Masaki Kobayashi’s Hara-Kiri, which I’ll write about soon. 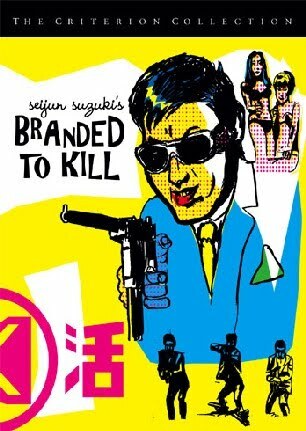 Also a real cult classic – Seijun Suzuki’s 1967 film Branded to Kill (watch it and you’ll know why it was such an inspiration to Quentin Tarantino, among other directors). 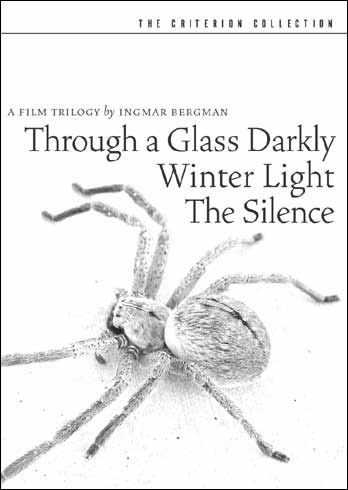 - Again on Criterion, Ingmar Bergman’s faith trilogy: Through a Glass Darkly, Winter Light and The Silence. I had the first and the third on badly scratched DVDs already (The Silence is a personal favourite) but these are better prints and they include fine video essays by Peter Cowie. I love the menu designs on all three films: lovely, sensual close-ups of great Bergman actors like Gunnar Björnstrand, Harriet Andersson and Max von Sydow. And while on faith, I also picked up a really good transfer of Dreyer’s Ordet. - A disc of Hitchcock’s Notorious with two audio-commentary tracks, including a fascinatingly detailed one by film scholar Marian Keane, who examines many of the film’s key scenes on an almost shot-by-shot basis. This meticulous visual reading of one of my all-time favourite movies was a real treat. The main-menu page of each disc sets the mood, using quietly ominous scenes from the movies. 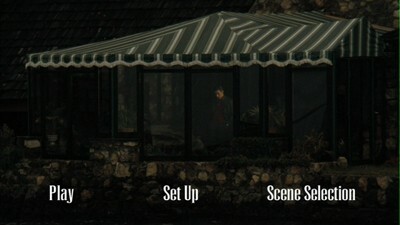 (The scene on Part II menu is the chilling long-shot of Michael watching from behind the glass windows of his lakeside house as his brother Fredo goes on the last fishing trip of his life.) The director's commentary by Coppola manages somehow to be understated and florid at the same time, much like some of the most famous sequences in these films. The level of his identification with Michael is a bit scary though, especially when he points out that his daughter Sofia Coppola (who was lambasted for her performance as Mary Corleone in the third film) was the recipient of much of the negative criticism that was really intended for him, in much the same way that Mary takes the bullet meant for Michael! The viewing also whetted my appetite for some Godfather-related literature, notably Pauline Kael’s famous review of Part II (not available online, as far as I can tell), and this piece by Jonathan Rosenbaum, one of the few major movie critics who wasn’t a big fan of the first two movies. Do also read this excellent essay, in which Rosenbaum praises Al Pacino’s performance in the third film as an example of “a termite performance in a white-elephant part” (the reference is to Manny Farber’s famous distinction between white-elephant art and termite art). Everyone I know hated the third part. But for exactly the last 20 minutes, I watch it again and again. That was indeed a quite an article full of cinematic recommondation and informations. Thanks for that. Amadeus and Fitzcarraldo are nice films with operas built into them. I wonder if I'll view the Trilogy again--maybe the mid-section could do with a revision, but certainly not III. You tempt me Pallikawards! S M Rana: well, the Godfather Restoration wasn't from Palika, but yes, for the Criterion DVDs you'll have to go there. curdriceaurora: with the passage of time, Part III holds up better, I think - much of the negativity around the time of its release came from the unreasonable expectations. But to appreciate it, you also have to be able to immerse yourself into Coppola's very particular brand of myth-making. He's extremely conscious about Michael's "tragic Shakespearean hero" dimensions, and if you don't buy into that aspect the film falls flat. Talking about Japanese classics, I've heard that all Japanese films made prior to 1953 are in the public domain! I revisited The Godfather I last week. What struck me is that the film is an anomaly of sorts in the 70s. That was a decade of extremely personal, quirky films. The Godfather on the other hand, is a relatively old fashioned tightly constructed narrative film. 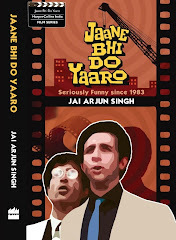 Its themes are buried beneath the narrative unlike the more overt movies of the 70s. Nevertheless, it remains a triumph of narrative storytelling. It works best as a biting criticism of patriarchy and its ill effects on men (as opposed to only women). In this respect, it merits comparison with that other great film which grapples with the pressures of patriarchy - It's a Wonderful Life. ...The Godfather on the other hand, is a relatively old fashioned tightly constructed narrative film. shrikanth: true. Part II is, of course, a much more ambitious film that self-consciously plays around with narrative form. Which is what makes it so difficult (for me at least) to compare the two movies. Despite the very distinctive look of Willis' cinematography and the familiarity of the actors/characters, they are two very different films. perhaps irrelevant to your post: would you care to get rid of the green blog in favor of some nicer color or in favor of some change, for a change? (I know readers have often asked for it and you have had an excuse that is no longer valid :) blogger now allows you to do that without losing out your current modifications to the blog template. BTW - are these original Criterions smuggled/sold at discount prices in Palikka, or copies? if so do they come in original-like packaging etc. w/ the liner notes, printed essays? how much do they cost? Anon: these are "original copies" - no discernible difference in the quality of the prints, though 1 in every 7 or 8 Palika DVDs has a little scratch somewhere that might cause the film to freeze at some point (the disc can be exchanged). The packaging has the original covers but nothing else - no extra printed material. The Electronic Zone guy charges Rs 150 per disc. Earlier Anon: will try to find time to change it soon. The last time I got to the "preview new template" stage, I got a warning that I might lose the original formatting. Jai: Those Rosenbaum essays made me wonder if I was wrong in regarding The Godfather as "old-fashioned". It is definitely not a successor to the 30s gangster tradition pioneered by the likes of Hawks/Walsh/Wellman. The Godfather is more grandiose and self-consciously serious than most films from the 30s. The Scorsese gangster pictures, in contrast, may be regarded as "old fashioned" in the best sense of the word, as they are closer to the spirit of those early Gangster pictures. Another thought: A film may play around with the narrative form and yet be primarily preoccupied with the story and not the characters. It's been a while since I visited Godfather II. Yet, I think that despite its experimentation with form, it's primary concern is still with the details of the plot and not the characters per se. In contrast, a straightforward narrative film like The Roaring Twenties appears to be more concerned with characters and themes than the plot. The Scorsese gangster pictures are closer to the spirit of those early Gangster pictures. shrikanth: good observation there - films like Mean Streets and Goodfellas have a very particular sort of exuberance about them that the Godfather films (and Coppola's cinema in general) don't have. Have been watching/re-watching a lot of the early work of the "kids with beards" and it's quite fascinating to contrast the styles and approaches of Scorsese, Spielberg, Coppola, Lucas and (my favourite) De Palma. All great filmmakers and just as importantly great film students with enormous respect for the cinematic past. About The Godfather Part II - not completely sure what you meant by it's primary concern is still with the details of the plot and not the characters per se (I thought most narrative cinema emphasized plot and characters about equally) but the film certainly is very self-conscious about contrasting the arcs of Michael and the young Vito. And with generally setting Michael up as this monumental tragic Shakespearean figure. "Have been watching/re-watching a lot of the early work of the "kids with beards" and it's quite fascinating to contrast the styles and approaches of Scorsese, Spielberg, Coppola, Lucas and (my favourite) De Palma"
Their contrasting personal styles can also be seen in their director's commentaries. Was hearing Copolla's commentary the other day on the first Godfather, and it struck me as to how much he seem dtermined to tell us every little detail - how he achieved that shot, and what this producer told him. Scorcese, on the other hand, always seems very interested in talking about his influences - in terms of earlier movies, performances, music etc. Haven't heard a full-length commentary by the others though. Would love to hear Lucas on American Grafitti, or DePalma on the Untouchables. Scorsese, on the other hand, always seems very interested in talking about his influences - in terms of earlier movies, performances, music etc. Apart from being a great director, he's a great film student - a genuinely respectful fan of the medium and its practitioners - and a great teacher. I'd love to hear DePalma doing a full-length commentary on his great films - Sisters, The Fury, Carrie, Carlito's Way, even Raising Cain and Hi, Mom - but somehow I don't think it'll happen. The great visual storytellers tend to be very taciturn when it comes to holding forth on their movies, "explaining" scenes and concepts, etc. I get that impression from some of the DePalma interviews I've read too. Jwock, I greatly enjoy reading your film reviews, but I am a little disappointed at your patronizing pirated DVDs. The good people at Criterion spend a lot of money producing their discs & for film lovers like you, it makes a lot of sense to cultivate them so they continue to earn revenues for the great work they are doing. Barnes & Noble in the US is having a 50% off sale of Criterion discs till Aug 3rd (its still more than the $3 you are paying at Palika) & if you want any I will be happy to buy them for you & send them over to Delhi with my in-laws who regularly travel there. Tipu: I get the ethical argument to an extent, but I can't imagine how the official Criterion prices can be justified by anyone. I'm sure they spend money producing their discs - and I really appreciate the quality of their transfers, which is an important value-addition - but let's not forget that many of their films (at least most of the ones I have) are movies that are in the public domain to begin with. Another commenter, Shrikanth, recently asked how it's possible for Criterion or any other company to sell such films at a higher price than zero dollars in an efficient market. I wouldn't go that far, but I still don't understand the price tags attached to their legit discs. And the kinds of DVDs that get sold for Rs 499-599 in Indian stores like Planet M, Musicland etc - don't even get me started on those. It goes well beyond polite thuggery. Having said all that, I'm very tempted by your generous offer. Is there a link where I can see the list of Criterion titles available at 50 percent discount? I could let you know by tomorrow latest. Tipu, do mail me at jaiarjun@gmail.com if you see my comment above. Jai: I revisited The Godfather II I think that the scenes that recount Michael's fortunes are the heart of the film. The Vito interludes are mild, less intense diversions that are enjoyable nonetheless. I don't see a strong thematic link between the two narrative arcs, unless Coppola intended to draw a melodramatic contrast between the moral depravity of Michael and the more "honourable", good-intentioned gangsterism of his father. Coppola could've made a leaner, shorter 90min film focusing exclusively on Michael. In which case, it may not have been regarded as a great masterpiece! It could be argued that the "formal innovation" of having two arcs was an attempt to make a respectable Oscar-garnering "white elephant" out of what would otherwise have been just as great a film, albeit with fewer honours. I don't see a strong thematic link between the two narrative arcs, unless Coppola intended to draw a melodramatic contrast between the moral depravity of Michael and the more "honourable", good-intentioned gangsterism of his father. Shrikanth: I don't think the contrast is that straightforward at all. One of the fascinatingly ambiguous things about Part II is that, when seen purely in isolation, the young Vito is a much more likable, more charismatic character than Michael (who is a sullen, pallid monster by the end - the Pacino and De Niro performances make for such a fascinating design). And yet we are never allowed to forget how Michael has been tainted by his father's legacy. The film has several direct visual references to this, such as the scene where Vito, after killing the old don in Sicily, takes Michael's hands in his own and says "Your father loves you very much." (Is there a similar scene between Vito and the kid Sonny after the murder of Don Fanucci? I forget.) And that chilling shot of Vito making the little Michael wave at their relatives as their train leaves the station - as Coppola points out in his audio commentary, the image is that of a puppetmaster controlling a doll. All this taken together eventually makes it difficult to see Vito as just the good-intentioned young family man rising in the world, becoming a mafia don purely through circumstance, and retaining his essential "honour" in a way that the next generation won't. It also brings a new shade to the scene in the first Godfather where Brando's bed-ridden Vito is so distressed on learning that Michael has become a killer - that his youngest son has become swallowed up by the family darkness rather than forging his own path in the world. Btw I recently read a very interesting piece from Ryan Gilbery's book It Don't Worry Me: The Revolutionary American Films of the 70s, which suggests that Part II is imbued by a much deeper sense of guilt and waste (and, for the viewer, moral uneasiness) than the first film - almost like Coppola, on some level, were trying to make up for making this mafia family seem so glamorous and romantic in the first movie. Wish that essay were available online. Just adding to the earlier comment: I'm not convinced that a shorter film focusing entirely on Michael and the convoluted plot involving Hyman Roth, Frankie Petrangeli and all the double-bluffs would have made for a great film. Certainly not one that would have held my interest in the same way. In my view, the twin narratives of Part II not only enrich and illuminate each other, they also add greater meaning to the first film. "...the second film makes bitter sense of the first. Without it, The Godfather might not have weathered the years so well. It might even have aged as graphically as Dirty Harry, another celebration of male power that also uses the vulnerability of a borderline-anachronistic hero to solicit our goodwill for old-fashioned, uncomplicated violence... The Godfather is altered, enhanced and redeemed in the presence of its sequel, just as Michael's descent into Hell, which would on its own be chilling, becomes genuinely heartbreaking when seen through the gauze of his father's ambitions." I would add to what Gilbey says about Michael's fall being chilling if seen in isolation; it would also be difficult to work up much interest in it (for me at least) if the film had been a pure sequel set in Nevada and Vegas. Jai: Thanks for the comment. I guess I did overstate the seemingly "good natured" motivation of Vito implied by the screenplay. I probably felt that way because of De Niro's charisma in the role! By the way, the family dinner flashback at the end is, I think, a very important part of the film. The "what might have been" contemplation of a gangster who was at one point a straitlaced young man reminded me of a passage in The Great Gatsby. Towards the end of the book, Gatsby's father stumbles upon a diary maintained by the late Gatsby as a young boy which has a meticulous schedule for self-improvement. I found reading that schedule heart-breaking in the context of the dissolute, vain life that Gatsby led.